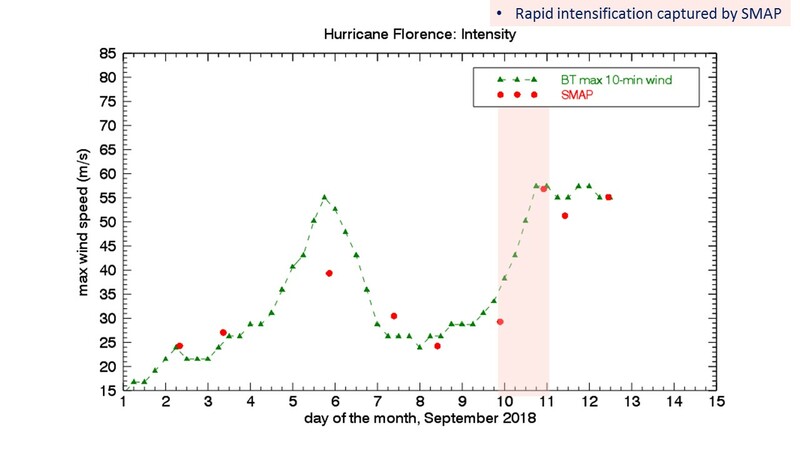 Hurricane Florence as seen by the L-band radiometer on Sep 12, 2018. These wind observations are not affected by rain. The sensor resolution is about 40 km. Actual maximum wind speeds are typically higher by about 10%. These data are processed in Near Real Time at Remote Sensing Systems, with a delay of approximately 3 hrs. Data freely available at Remote Sensing Systems. 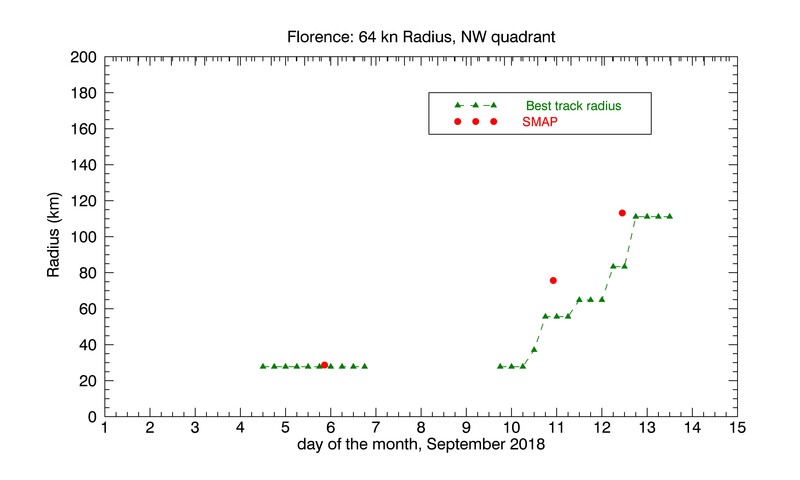 Evolution of the maximum wind speeds in hurricane Florence as observed by the NASA SMAP L-band radiometer, and compared to best track data from the National Hurricane Center. 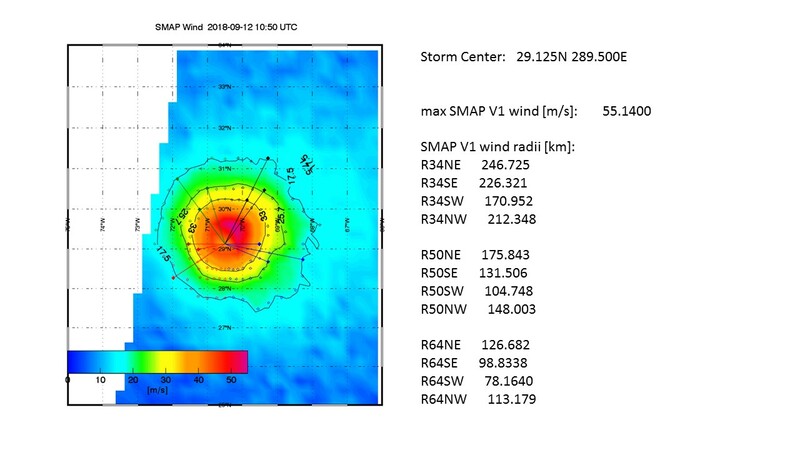 These SMAP data are processed in Near Real Time at Remote Sensing Systems and are freely available at Remote Sensing Systems.